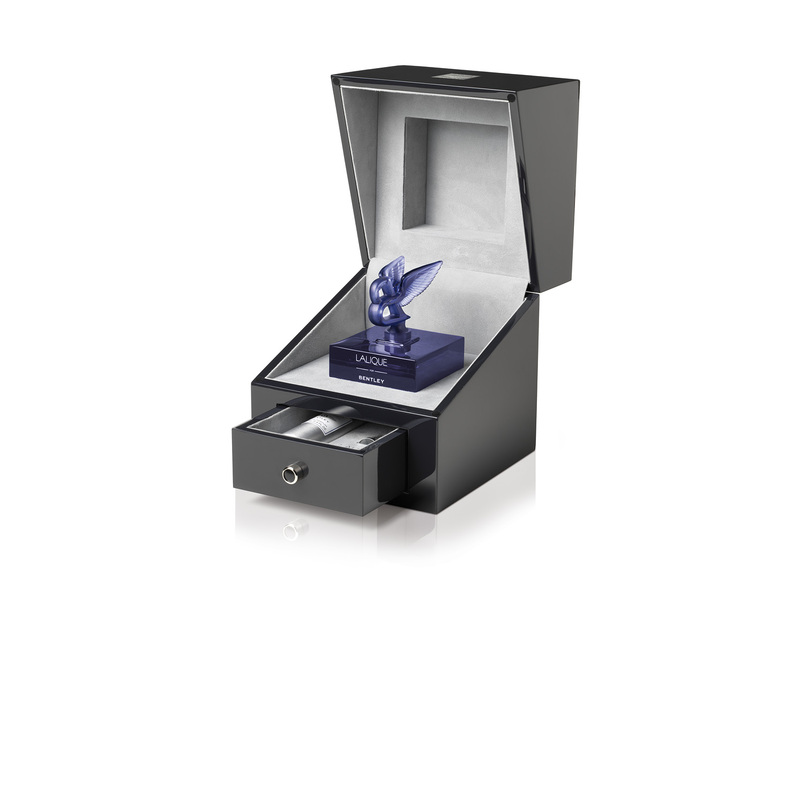 Following on from the immense success of the first Lalique for Bentley Crystal Edition comes the second fragrance: Lalique for Bentley Blue Crystal Edition, again presented in an exclusive, top-quality, limited edition crystal fragrance flacon. Anyone who appreciated the beauty and craftsmanship of the first Lalique for Bentley Crystal flacon will be at least as delighted with the second, which has the same design: the square base is decorated with the distinctive Lalique for Bentley lettering, above which towers the legendary Bentley "Flying B", with a pair of sweeping wings. The flacon is made from precious blue crystal, in which the light refracts in mysterious ways, creating sensuous reflections. 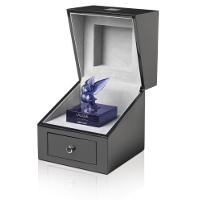 The superb blue flacon is therefore entirely in the great tradition of famous jewellery and glass artist René Lalique, who was already creating radiator mascots for a number of leading brands in the 1920s. 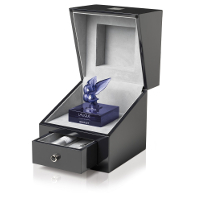 Lalique for Bentley Blue Crystal Edition is presented in a luxury wooden box lined with piano black veneer. 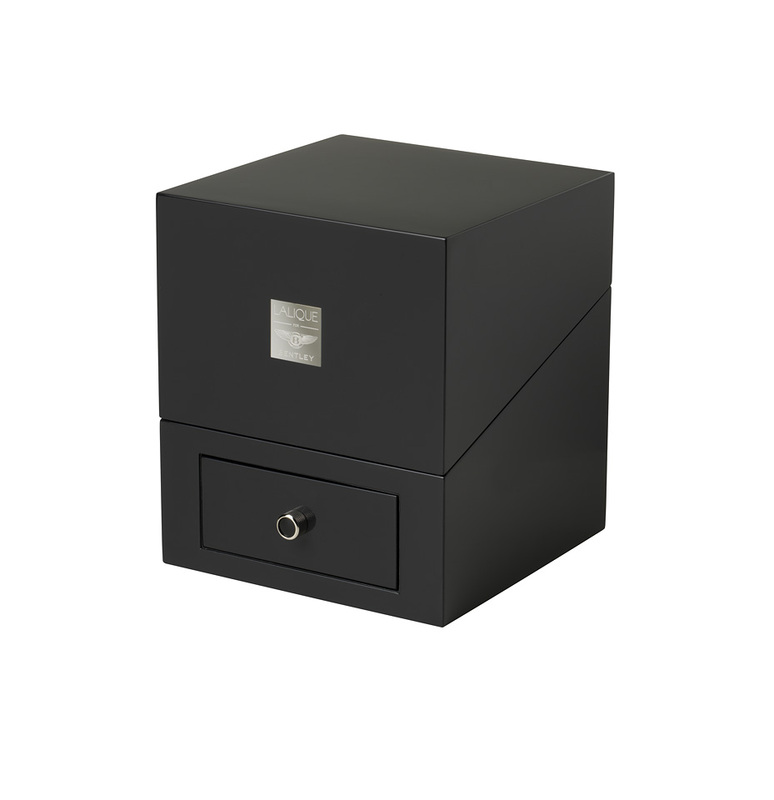 The leather is an elegant grey and forms a striking contrast to the midnight-blue bottle. 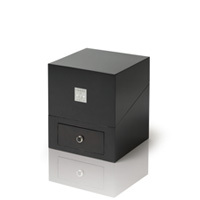 There is an extra compartment for the eau de parfum and the funnel. This signed, limited special edition is available in 499 numbered pieces. To fill the exclusive flacon with the right fragrance, an exquisite eau de parfum was composed at the long-established French fragrance house Robertet. Perfumer Mylène Alran, who also created the fragrance for the first Lalique for Bentley Crystal Edition, selected natural vetiver extract here to give the woody, spicy composition a charismatic character. 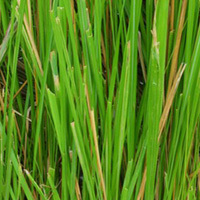 Vetiver is obtained from the up to 3 metre-long strong roots of reed-like vetiver grass, which grows primarily in Indonesia and Central America. 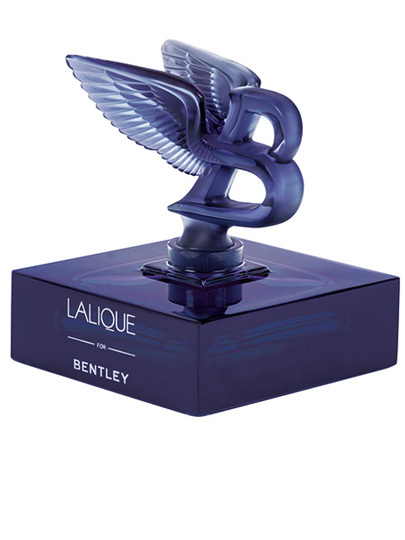 Like other top-quality fragrances, Lalique for Bentley Blue Crystal Edition is made from the finest, primarily pure natural essences, giving it a particularly harmonious progression that fascinates the senses in all phases. 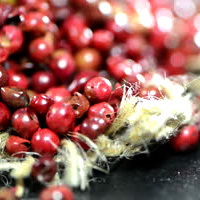 The top note is stimulating, with pink peppercorns and juniper berries, accompanied by a hint of fresh pear. 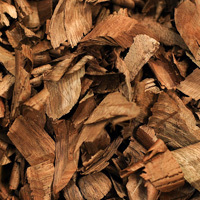 In the heart note, Haitian and Javanese vetiver unfold their concentrated power extremely woody and invigorating. Fragrance connoisseurs with a weakness for vetiver are delighted. The base note includes essences of harmonious ambergris and musk, partnered with precious cedar wood and frankincense to round off the sensual experience.